Signed Super Deluxe Box Set!! Pre-Order For Sold Out, Limited Edition - Only 250 Available!! Sold by Keith Richards website. His signature is on a 12" x 12" art print. Please see below for the full contents in detail. Mint!! Brand New!! Unplayed!! One Heavy Package!! Please note, this pre-order ships March 1 (or in March). We're music collectors too so we get it all. This rare, signed set will be packed very securely to arrive in Mint condition. For a hassle-free experience buy from an eBay Seller with 100% Positive Feedback.Our history is earned from 1,000+ music sales on eBay. USA - Free Shipping and Insurance. Outside USA - eBay's "Global Shipping Program" charges and funds go directly to them. We don't try to make money on any shipping, in or outside the USA.Please note, payment is due within 24 hours of purchase or order may need to be cancelled. In 1988, on a break from his band the Rolling Stones, Keith Richards released his first ever solo album, Talk Is Cheap. This universally respected debut is an eleven track masterclass in everything that’s good about rock ‘n roll and features guest appearances from an all-star cast including Sarah Dash, Bootsy Collins, Maceo Parker, the Memphis Horns, Patti Sciafia and Mick Taylor. 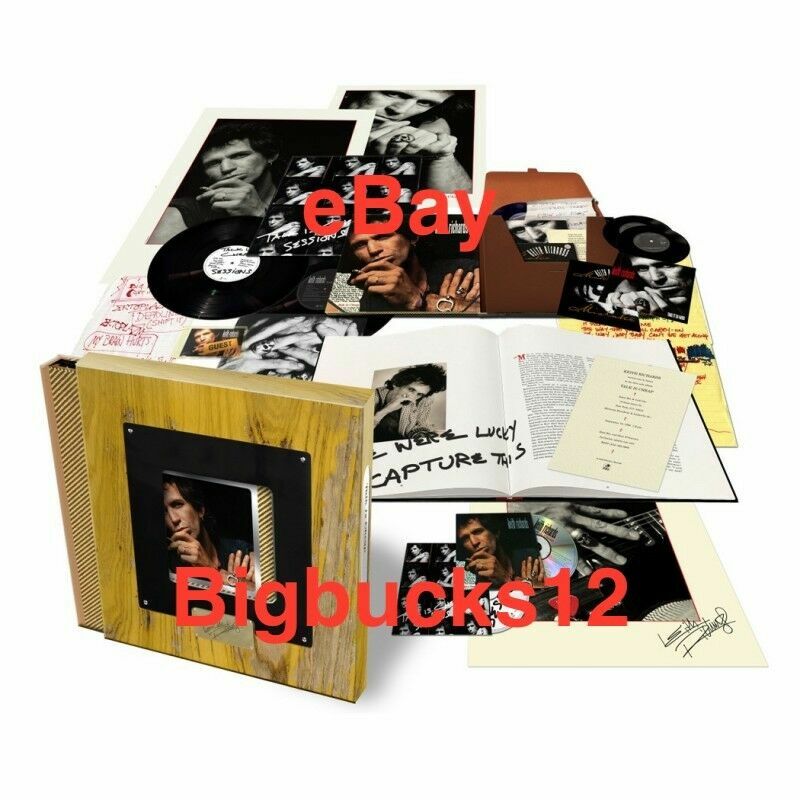 • Includes a Talk Is Cheap 12"x12" Art Card Hand Signed by Keith Richards. including extensive rare and unseen photos from personal archives.